Feature phones still dominate the Indian handset market due to the inbuilt easy to use features that make these dumb phones a preferred choice. As per the Counterpoint Report, the feature phone market doubled in Q1 2018 while the overall smartphone market remained flat. We have seen an increase in the number of people opting for two phones, their primary phone being smartphone and the secondary phone being a feature phone for the better battery life they provide. Amongst features like Multi-language support, Time talker, durability, etc., one feature that still makes feature phones a preferred choice in this era of smartphones is the long battery backup. We have created a list of features phones available in the market which offers more than 1900 mAh battery and are value for money being priced under Rs. 1,500/-. Reliance JioPhone – After the launch of Reliance’s feature phone, the market has been disrupted and it has, in turn, created demand for feature phones again in India. The Dual Core feature phone with 4GB memory spots good camera quality with 2MP main camera. The phone is powered by 2000mAh battery which enables 12 hour talk time. Micromax Bharat 1 – Micromax’s Bharat 1 runs on KaiOS as well and is powered by Qualcomm 205 processor. It has 512MB RAM and 4GB built-in storage (32GB expandable). The feature phone is powered by 2000 mAh battery. It is a smart feature phone which is available online for as low as Rs. 1,999. 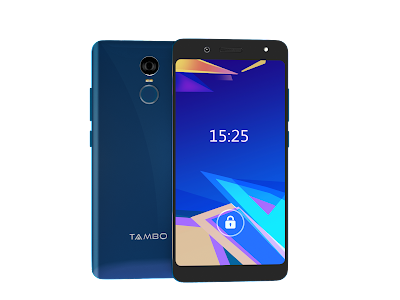 Tambo S2430 – This feature phone comes with a 1900 mAh battery which lasts up to a talk time of 20 hours. The build id durable and comes with premium metallic finish look. It comes with time talker and an expandable memory of upto 64 GB. It comes at an affordable price of Rs. 1,410. Itel it5231 – The phone comes with the screen dimension of 2.4 inches with expandable memory upto 32GB and a decent camera quality with 0.3 MP main camera. The feature phone is powered with 1900 mAh battery with 17 hours of talk time and is available at an effective price of Rs. 1,172.